In early 1942, the USAAF realized the need for an aircraft that could support the demands of a global logistics network with larger payload and transoceanic range. 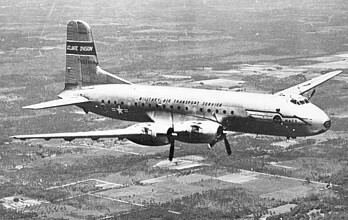 The Douglas Co. also saw the need and began development towards an extended version of the DC-4/C-54. In June 1942, a contract was awarded to Douglas to build this scaled-up DC-4/C-54 design which given designation C-74 Globemaster. Although the design was as straightforward as possible to ensure that the aircraft could be put into production rapidly, USAAF wanted Douglas to give higher priority to the A-26 Invader. It didn't perform its first flight until December 1945. At the time, it was the biggest land-based transport aircraft in the world. During its short career, the C-74 participated in the Berlin Airlift, and set a record for being the first aircraft to cross the North Atlantic. 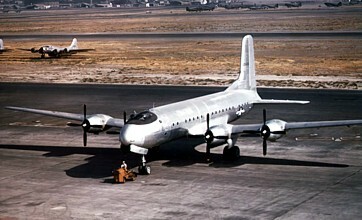 In 1956, all the C-74s were retired from active duty. The Air Force found the C-74 a very capable and useful aircraft, and began to consider acquiring an improved version. The 5th C-74 was converted to be the prototype for the C-124 Globemaster II. 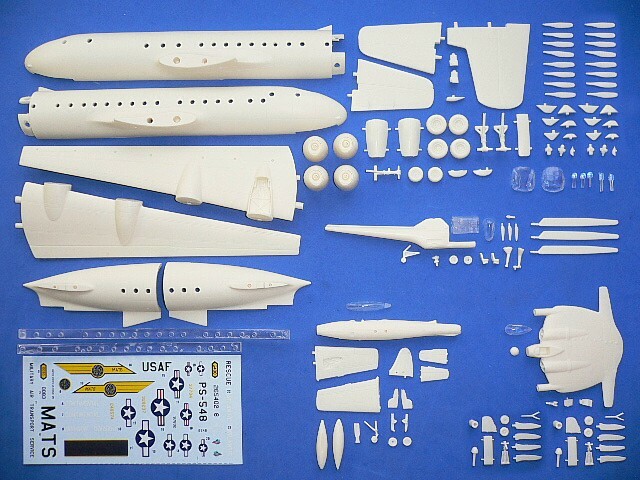 The model kit contents parts and decals able to build the C-74 "Bug-eyes" prototype or production aircraft optionally! The Douglas C-74 is suitable to group with the following collection series.